Rationale Skin Care has arrived! 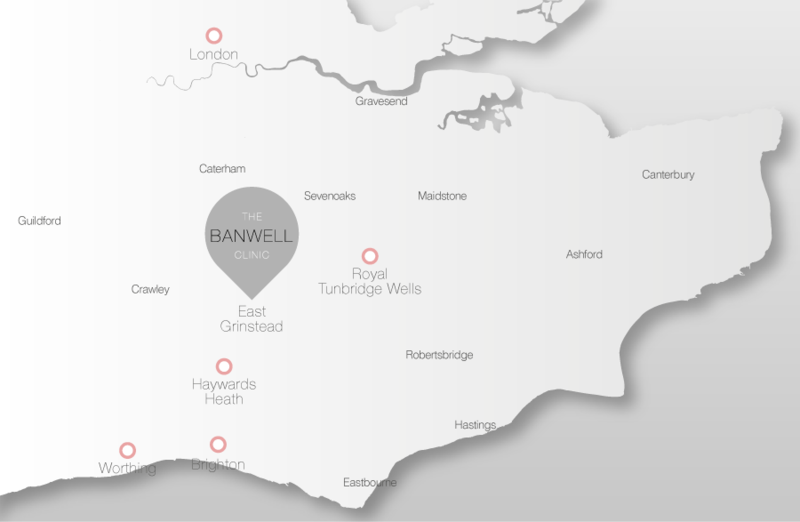 We would like to welcome you to The Banwell Clinic – a friendly, boutique aesthetic clinic specialising in skin health, anti-ageing solutions and cosmetic treatments in the South East of England. Led by internationally-renowned skin health expert, Plastic Surgeon and beauty editor favourite, Mr Paul Banwell, our clinic offers a first-class, award-winning service for all of our patients and a track record of glowing testimonials. Our headquarters are situated within the McIndoe Hospital in East Grinstead but we also hold clinics in Tunbridge Wells, Haywards Heath, Brighton and London. At The Banwell Clinic, we believe firmly in listening carefully to our patients and tailoring treatments specifically to their needs. We are market leaders in our field and are the ‘go-to’ destination for all things skin and anti-ageing including dermal fillers, botulinum toxin (‘botox’), specialised facials, cosmeceutical skin care, non-surgical facelifts as well as being a skin cancer centre. Patient safety is also paramount and all of our treatments and products are of the highest quality. Combined with highly qualified staff (all with an artistic flair!) and the latest technology available in the UK, we are perfectly positioned to provide a premium service. Clinically effective and excellent value for money.